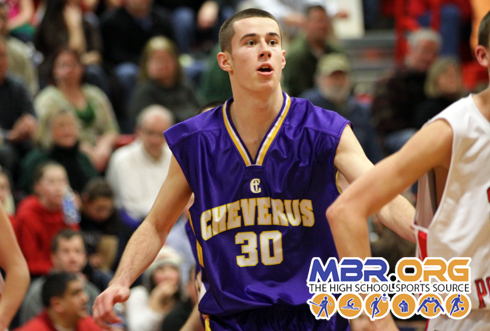 Cheverus came out blazing and never looked back. South Portland fought hard at points in the game, but Cheverus' depth rattled So Portland in the end for a big Cheverus win 63-46 over the Red Riots. Louis DiStasio lead all scorers with 19 for Cheverus and Vukasin Vignjevic lead So Portland with 13.